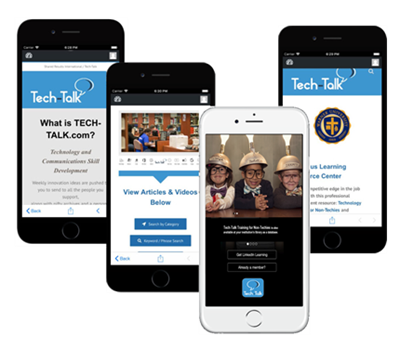 Individuals download the Tech-Talk app for free. Users get notices as new content is added, weekly. Engaging activities keep individuals coming back. Logging in, people see your institution’s name and logo. All content and search features are available. People have access at all times: work, home and play. Individuals recognize this gift is from you. You get the approval and thanks!